Summer is finally right around the corner! And with Summer comes a lot of traveling. I will be attending Rock USA this year, going on trips down state and even going camping. So I wanted to share with you some amazing beauty products that you can take with you when you travel this Summer, or basically anytime you travel! 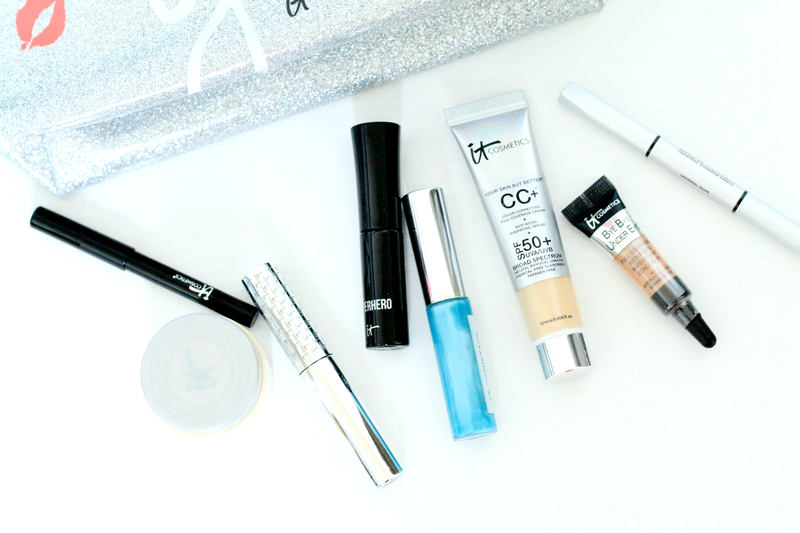 All of these products are some of the top favorite products by It Cosmetics. 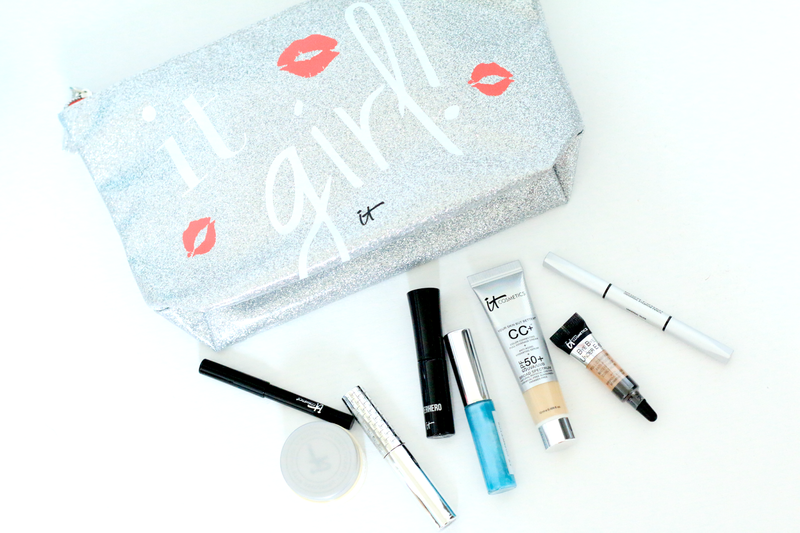 It Cosmetics seriously has a travel size in anything you would need to complete a makeup look. Today I will be sharing with you everything but a eyeshadow palette, (which It Cosmetics does have cute palettes that are perfect for traveling). 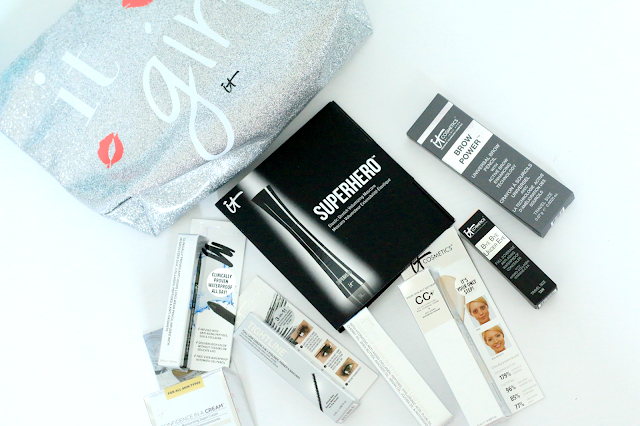 Your Skin But Better CC+ Foundation- this is my current favorite foundation. It is such a light weight foundation and also includes SPF 50+ so I love wearing it for the Spring and Summer. You can get a travel size at www.ulta.com for only $15.00. Bye Bye Under Eye Full Coverage Concealer- if you want to bring a full coverage concealer with you on your trip, this one would be perfect for you. It literally is full coverage and helps coverup the dark circles under your eyes. You can get this travel size product at www.ulta.com for only $10.00. Confidence in a Cream- I am literally obsessed with this moisturizer. It is perfect for all skin types. I use it in the morning and at night and it just leaves me skin feeling so smooth. You can purchase this travel size at www.ulta.com for $16.00. Superhero Elastic Stretch Volumizing Mascara- I love using this mascara for a everyday look. It makes your lashes look long and full. You can purchase a sample size at www.ulta.com for $12.00. Brow Powder Universal Eyebrow Pencil- this brow pencils works for almost every single eye brow color. So if someone you are on vacation with forgets their brow pencil, then this would for sure come in handy in case they need it! You can purchase a travel size at www.ulta.com for $12.00. Tightline Full Lash Length Black Mascara- this stuff is incredible at getting all of your lower lashes. It has such a small brush so its nearly impossible to make a mess. I love using this everyday and I will sometimes use it to separate my top lashes in case they are to clump at all. You can purchase this travel size at www.ulta.com for $10.00. They also had sent me over a travel size lip gloss and eyeliner but I was unable to find those on the Ulta website or the It Cosmetics websites. I think all of these products would be perfect to take with you anywhere and they are even perfect size to keep in your purse as well!